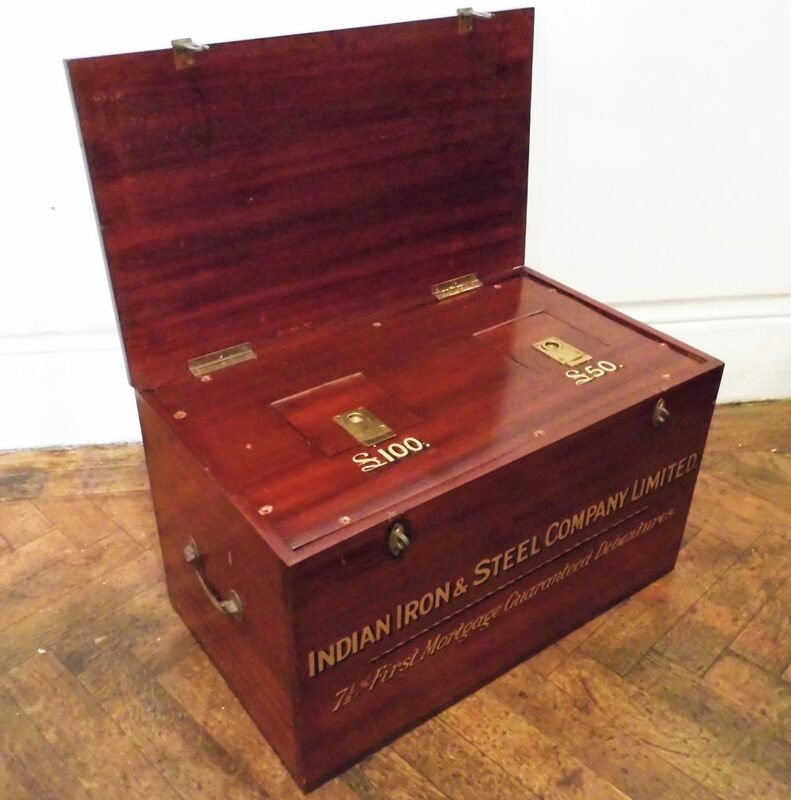 An unusual and very attractive Antique Mahogany Trunk. This trunk dates to around 1890 and would probably have been made by a British furniture makers in India. 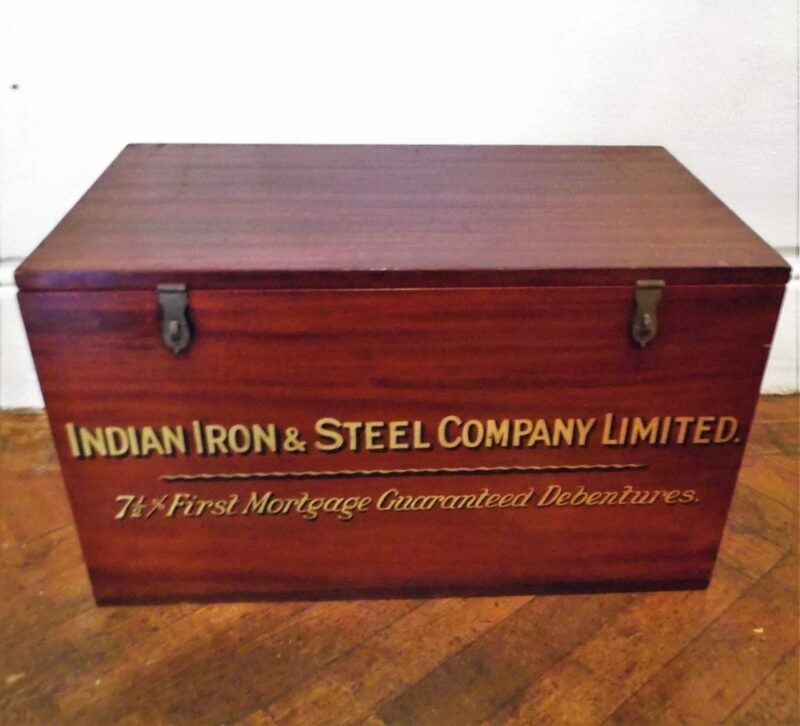 This trunk was built for the Indian Iron and Steel Company to store debenture papers which are a kind of high interest business loan. 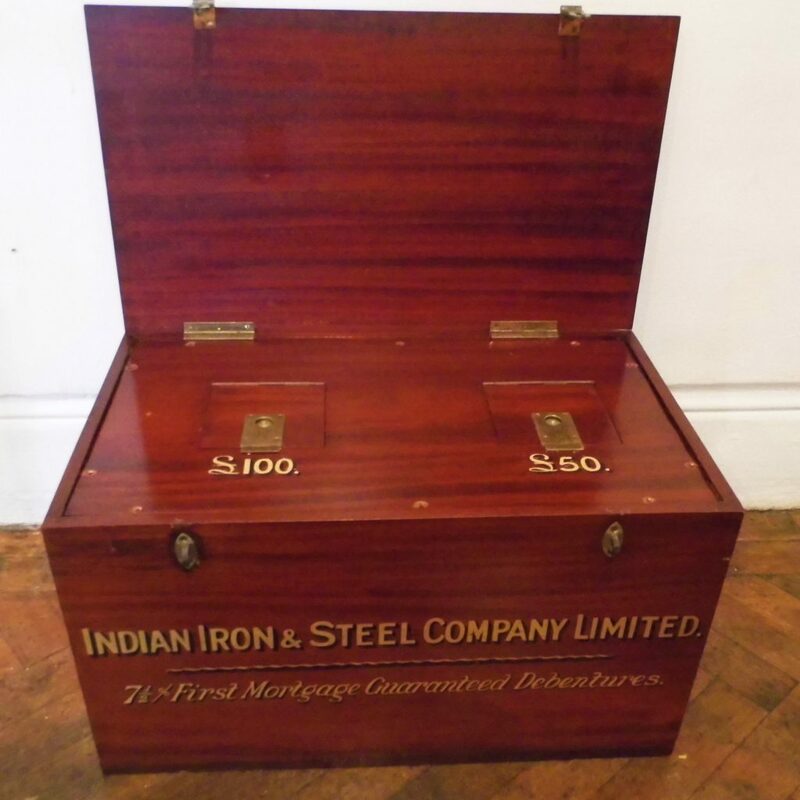 it opens up to reveal to latched flaps one for £50 and £100 debenture papers. It is finely made out of a rich toned mahogany and has brass handles and catches. Overall it is in very good original condition with only a little wear commensurate with age, All lettering is completely original to the box! This charming trunk makes a great talking point.